Salvation And Survival: She Gets It! I came across a story on The Blaze that mirrored my experience of the last couple of days. The story is of an American psychologist, named Dr. Bethany Haley Williams, who is also the founder of an organization called Exile International. The mission of her organization is to restore rescued child soldiers, and children orphaned by war, to become leaders for peace through art therapy and holistic, rehabilitative care. In Central and East Africa, armed forces and rebels have abducted more than 100,000 children, and most of these children are left with deep, emotional scars because of the trauma they have been forced to endure, or tragically, to commit themselves. The evil acts perpetrated against them have succeeded in making them prisoners of the very Evil that seeks to entrap us all. On a group trip to the Democratic Republic of the Congo in June 2008, Dr. Williams, encountered a darkness she had never seen before: child soldiers who asked her to be their mother, women who attempted to give over their children, stories of women sexually abused time and time again, and children so traumatized they showed no emotion. Realizing that the evil she witnessed could only be countered by the power of Jesus's love, His redemption, and their ability to forgive, Dr. Williams was determined to look the darkness dead in the eye, and help heal these children. She says her spiritual journey was "turned upside down." I can say the same thing after the last two days I spent training with Dr. Charles Kraft to help Christians who need deep, inner healing. The methods I learned may be different than Dr. Williams's, but the result is the same... whether we are talking about an actual child in Africa, or our own "inner child", we all need to heal from the emotional scars that have damaged us. How many Christians do you know that want to get closer to Jesus, but just can't seem to get there? They read their Bibles, they pray and attend church faithfully, but something is still missing. That intimacy that the Bible talks about, and that they long for, just isn't there for them. They often deal with feelings of anger, depression, or fear ... those very emotions they are told Christians should not feel because we are "new beings" in Christ. They are often left feeling disappointed and wonder, "Where is the freedom and peace that Jesus promised me?" What I discovered under the tutelage of Dr. Kraft is that most problems are spiritual, resulting in emotional difficulties that keep us from the freedom and intimacy with Christ that we (and He) desire. And I learned that deep-level healing is the answer. What exactly is this deep-level healing? It is a ministry in the power of the Holy Spirit that is aimed at bringing healing to the whole person: spirit, body, mind, emotions, and will. It is about hearts being set free. And notice that I said in the power of the Holy Spirit. It is not me healing the person, but Jesus's power through the Holy Spirit; and I can work with Him to help effect that power and healing. He has given me the authority to work in the spiritual realm with Him and the Holy Spirit, and it is quite clear in Mark 13:34: "For the Son of man is as a man taking a far journey, who left his house, and gave authority to his servants, and to every man his work, and commanded the porter to watch." What I learned is a loving way to counsel people to identify the origin of those emotions and thoughts that block the freedom and intimacy that they so desperately seek. By using visualization exercises, with Jesus present at every stage in your life, you can identify what the "triggers" are that keep you from experiencing intimacy and freedom. I witnessed counseling sessions in which Dr. Kraft healed the deep, inner soul scars that Christians suffered from a feeling of unwantedness (that often times comes when conceived out of wedlock), miscarriages, sexual molestation, and many other open doors to spiritual harassment by the Enemy. Once memories reveal what is at the root of a Christian's sense of despondency, we can ask them, "Can you see Jesus there with you at that moment of crisis?" If you are a faithful Christian, you know that God and Jesus are Omnipresent; they are everywhere -- so we know that He was there with them in their moment of despair. Remember, He has not promised to keep us from all such bad experiences -- only to be with us in them. So, when we experience Jesus in our memories, we know He was present in the actual events of the past, and we can give Him the crippling reactions [to that event] -- which are stored in our memories and have intruded on our peace. Then we can experience His intense desire and power to heal us... to take those painful feelings and cast them away from you, as far as the East is from the West. And it is ALWAYS the power of Jesus through the operating of the Holy Spirit in that moment that heals the person. For most people, picturing Jesus there with them during the hurts of their lives, and handing off the paralyzing emotions, and then being able to visualize Him hugging them and feeling that intimacy, is enough to free them into a more satisfying spiritual life. But there are some with such devastating experiences that demons have slipped in and are subconsciously controlling the Christian's mind, will, or emotions. But that does not stop the healing! We simply declare the authority given to us by Christ to free the captives, and employ the power of the Holy Spirit to identify them and command them to leave. The deliverances I witnessed were done in such a loving, calm manner by Dr. Kraft, and it was truly empowering to realize that we do not need to fear demons; they may hinder a person's peace, but they can't take away the person's salvation. Sadly, the Church has forgotten that we have been commissioned by Jesus to bring freedom to all mankind. He told us that we would do what He had done, and even greater things (John 14:12). But we forget that Luke 4:18 describes what He came to do, and that freedom He wishes to give us: to announce release (pardon, forgiveness) to the captives, And recovery of sight to the blind, To set free those who are oppressed (downtrodden, bruised, crushed by tragedy). I want to be very clear that what I described in this healing process has been over-simplified. Much time is taken to get to know the hurting Christian, and to identify the underlying issues (or demons) that are blocking their freedom and intimacy. Healing that "inner child" requires a careful, attentive, and thorough effort to free the adult Christian. The important thing to remember is that there are multitudes of Christians who need to be set free, and Jesus is waiting for us to get involved and agree to work with Him and the Holy Spirit in completing our commission. Who wouldn't want to partner with Jesus, and to experience working with Him? We get to share in the blessings He brings to our fellow Christians through us. We get to see forgiveness, gratitude, and new joy, steeped in peace and love. It doesn't take any special spiritual gifts; after all, Jesus worked with ungifted disciples. It just takes a willingness to obey His command and experience a closeness with Him that you have never had before. And I have to agree with Dr. Williams, when she says, "I see redemption at its deepest level. It is not of this world. And, I believe, it is only the beginning." She's right! This kind of healing is not of this world! These past two days, I have experienced a new reality in my relationship with Jesus and the Holy Spirit. I now know that Jesus is not some far off, distant God! He truly is right here beside me, and I can do all things through Him with the power of the Holy Spirit. And most of all, I can see and feel and personally experience the freedom of my fellow Christians as they receive the Peace that surpasses all understanding. And that only comes from allowing Jesus to heal you. We are simply His instruments to achieve that Peace. And we receive something as well, for being willing to trust His Word and engage with Him. As Barbara Bucklin, one of the facilitators of Dr. Kraft's ministry said, "Nothing is a bigger faith-builder than to know your authority." Amen to that! 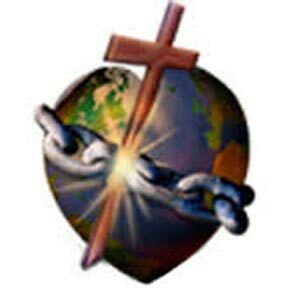 For more information on Dr. Charles Kraft and his deeper inner healing ministry, please visit www.heartssetfree.org. Galatians 5:1 "It was for this freedom that Christ set us free [completely liberating us]; therefore keep standing firm and do not be subject again to a yoke of slavery [which you once removed]." How do people react, though, picturing Jesus with them in that moment and Jesus not preventing it? That is a very good question! From the counseling sessions I witnessed, when asked "Where is Jesus during ____? ", they almost always answer "He is beside me, enduring the same thing." Sometimes that is enough to heal their wounds -- to know that He was with them. But, understandably, there are those who are angry with Jesus for not stopping the abuse. Dr. Kraft then explains that their abuse was the result of the free will of the person who abused them. Jesus will never interfere with that person's free will, but He will also never leave us nor forsake us during the pain caused by that person. Dr. Kraft tells that "inner child" it is OK to be angry with Jesus, and that they have a right to feel anger. But he tells them they have two choices: 1) Let that anger consume and destroy them, or 2) Since He was there with them throughout the abuse, turn and give that anger to Him to bear and let Him take it from them and cast it where He wants to. Some of these people can visualize Him kicking a box that holds the reaction to the abuse (anger, fear, etc), or throwing it into a fire, or throwing it far away from them. The bottom line is that Jesus honors man's free will (even the will to do evil things to other people). Instead of praying that He take away our reactions to that free will, we must choose to give it up to Him. Please, respond if you have further questions ... it is important that I help you understand the freedom that can come from this kind of healing.